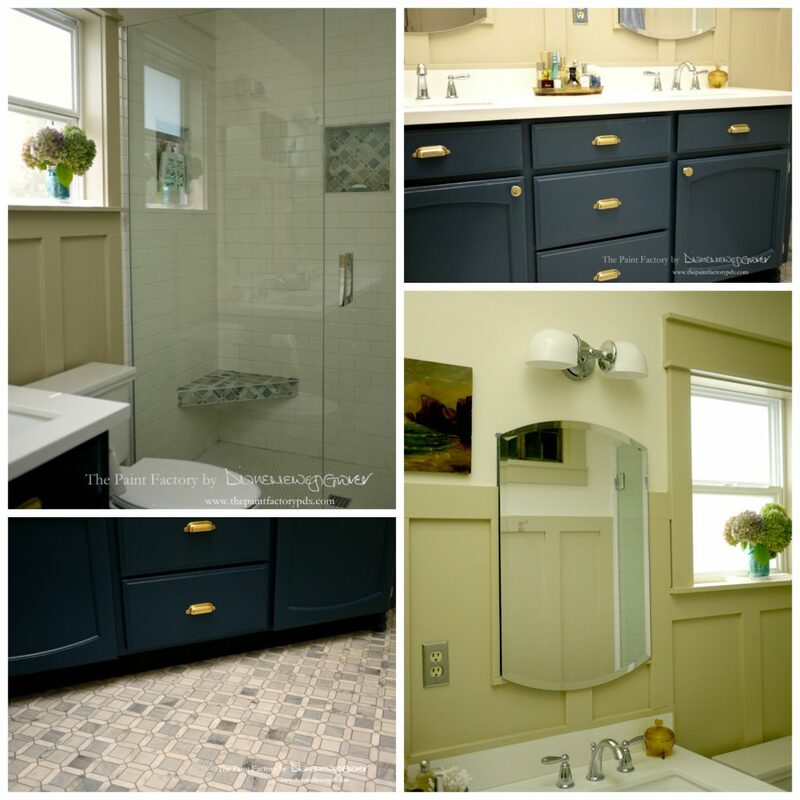 The Master Bathroom Remodel Reveal. Compared to the slow ‘Step One‘ of the bathroom remodel, Step Two was relatively easy. It involved going through my list of ‘NEEDS’ vs. ‘WANTS’ and trying to bring several of them to fruition. So, here goes! COUNTERTOP. 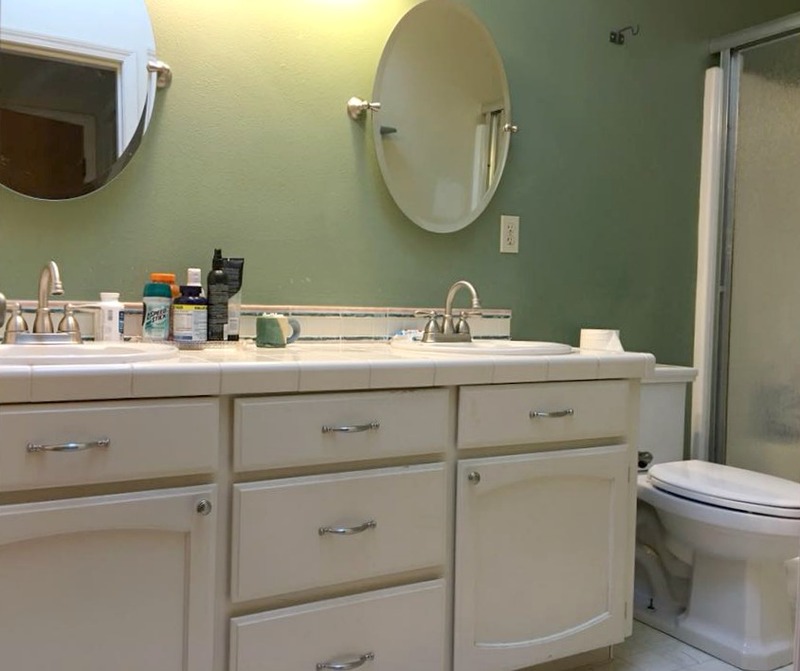 The existing countertop was a delightful 6″x 6″ ceramic off-white tile. Clearly, builders grade and original to the home; it had no redeeming qualities. 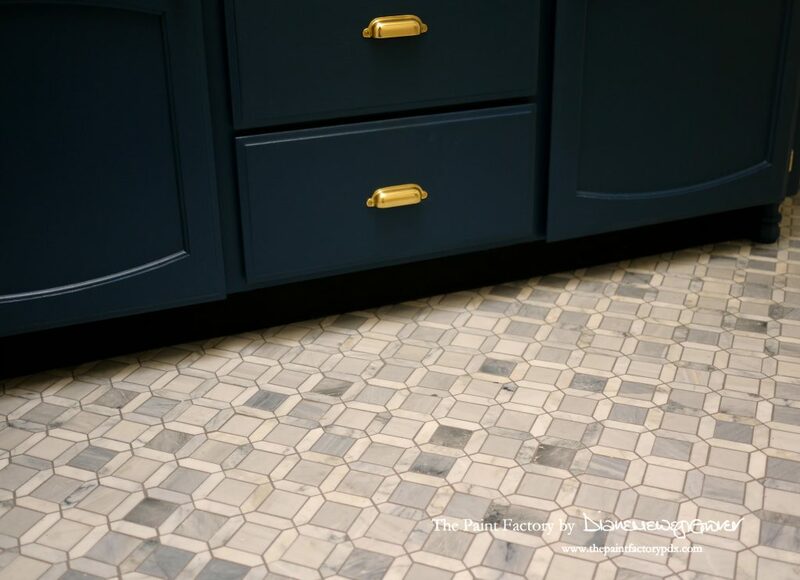 Besides, grout on a countertop is never a good idea. The times I have had to use a toothbrush and bleach to try and bring the white grout back to a reasonable level of sanitation, well, I’ve lost count. Totally thankless job. Granite was never a serious contender when thinking about the counter. 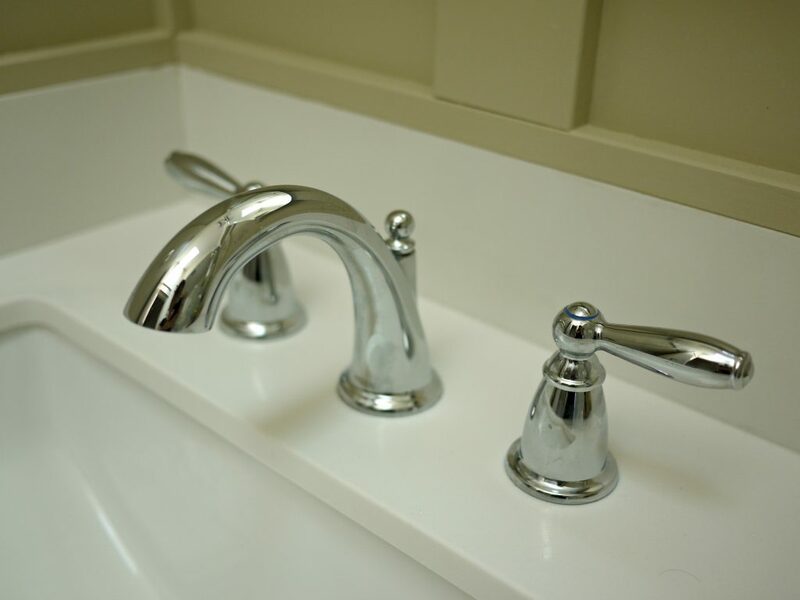 We used quartz in the kids bathroom and I love it, and I don’t really like granite. We have it in the kitchen, and although it’s sealed (and has been resealed over the years) I find that it’s still somewhat porous. So, because of that, it’s not a material that I would want to use again. Marble was also out because of the dreaded porous factor. I think I would always be worried about spilling something on it. So, NO to marble. And a big YES! to a white, clean looking quartz. Now be warned, fabricators do a great job at promoting materials. I think our fabricator was advertising quartz for our size counters for $150. WOW! What a steal. What they don’t promote is that it will cost you another $1000 to have the counters cut and installed. Spendy. This was an absolute #WANT. But I’m so glad we did it. Another #Want was the Batten and Board trim work. Here’s where you get a lot of bang for your buck. Batten and Board is reasonably cheap to install. It gives a custom look to the bathroom, while hiding some of the hideous textured walls! 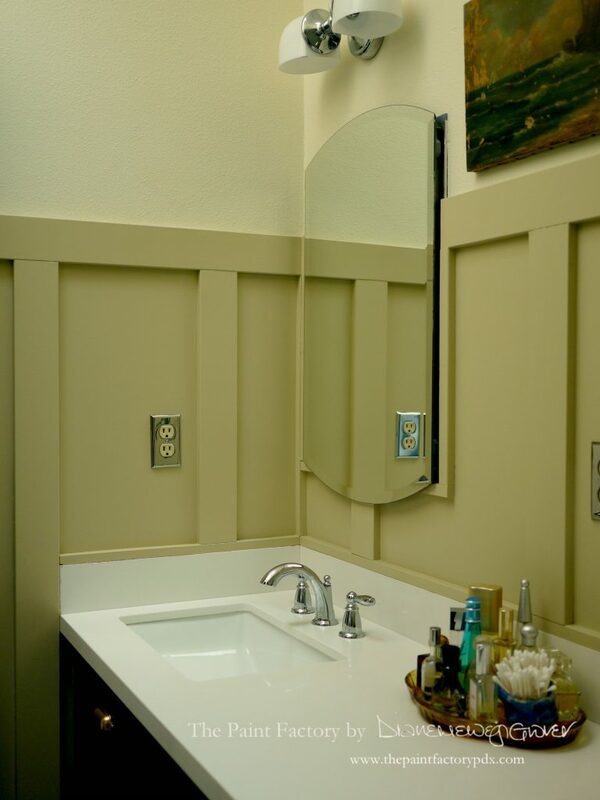 We used shiplap in the kids bathroom (again, to give a more custom look and to hide the textured walls). The Batten and Board technique just lends itself to a more traditional look, classic and timeless. I LOVE it. The shower kit was obviously more expensive ($355) than a standard shower; AND you do need two additional valves: A posi-temp pressure-balancing control valve (to maintain the water temp) and a Posi-temp transfer valve. I think each valve was in the $100 ballpark. WORTH EVERY PENNY. This was a #WANT. But actually a real #NEED. So let’s talk about another #WANT SHOWER DOORS. 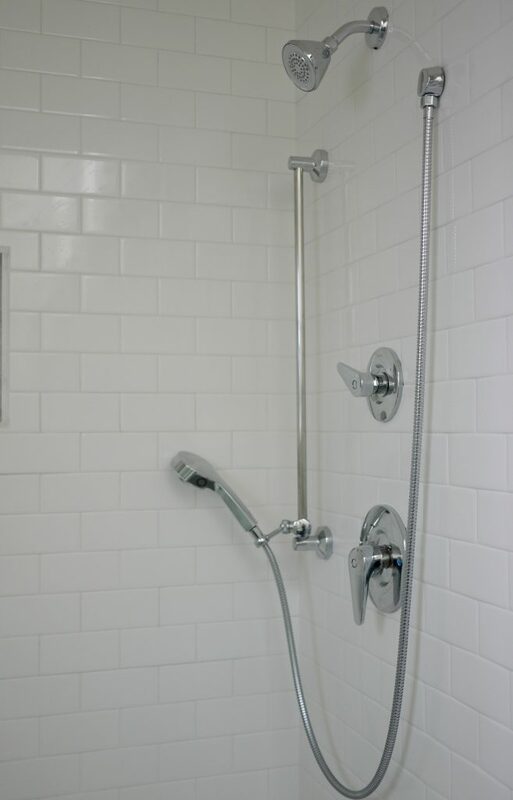 The previous shower had a textured glass sliding door; a sliding door only a metal runner that make it virtually impossible to clean between them. I hated that door with a passion (I’m English, I do this well). This time I really wanted to go for the custom look (but still keep to budget. What budget? HA!). In my mind, there was no other choice that to have frameless glass doors installed. NO OTHER CHOICE. I’m actually quite sure that this decision was the best one that I made when it came to the overall design. It is so clean. So beautiful. Just gorgeous. Yes, it was way more than I expected it to be. But, again, WORTH EVERY SINGLE PENNY. The only other small #WANT was actually my husband’s idea. 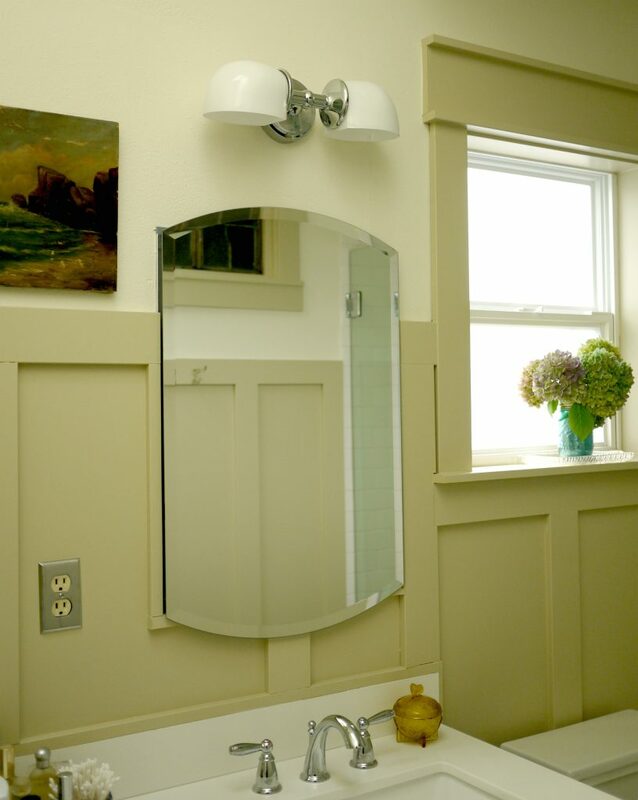 To install mirrored medicine cabinets. Very inexpensive, but great for storage. I’d like to be able to say that because of these, my husband keeps all of his toiletries stored away. Yes, I’d like to be able to say that. The light fixture is from Pottery Barn, called Mercer Double Horizontal Sconce. Reasonable at $129, although I did see similar scones on Ebay for much less. Drat! Very simple, clean lines. A nice mix for my vintage oil painting (Goodwill $12) and my grandmother’s Depression-Era glass vanity set. BATHROOM VANITY. This is something of a #NEED and #WANT. 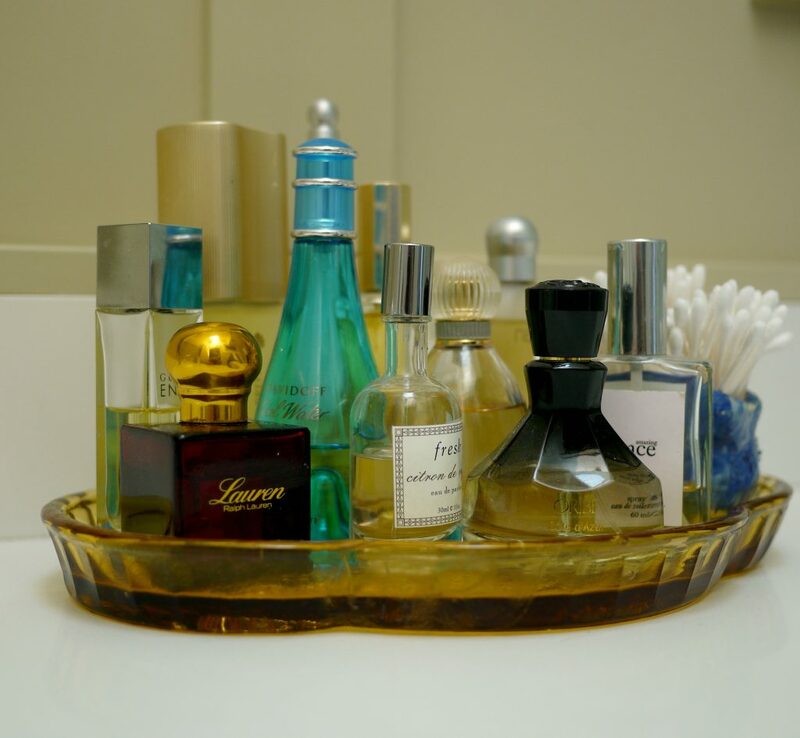 Vanities are, in my opinion, so stinking expensive it makes no sense! 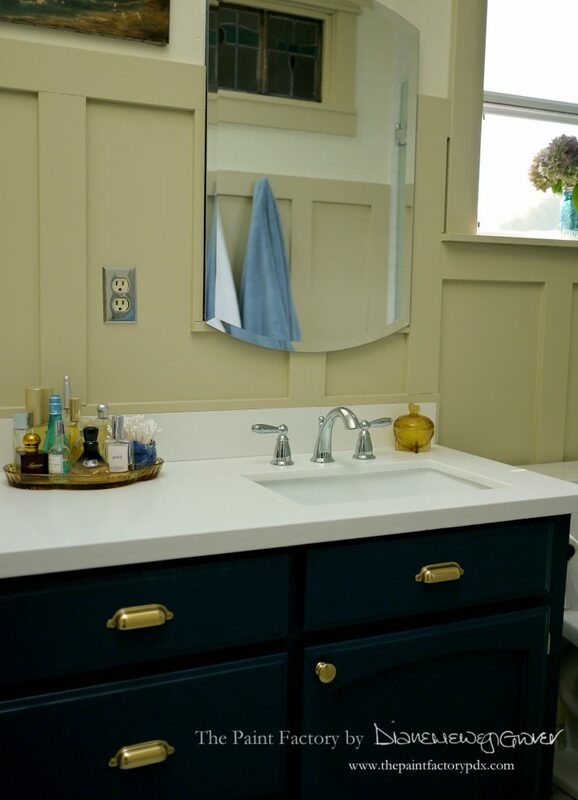 Our existing vanity was fine, well fine if you removed the tiled countertop. It didn’t make a whole lot of sense to demolish it, and replace it with a new one. It was structurally solid; it just need to be loved. The #WANT came in with the color and the hardware (well, and the quartz countertop). I knew I wanted a true navy paint color. I wasn’t about the settle for anything else. Not a dark blue, a grey blue, a green blue. It HAD to be a true navy blue. And it would look ever so lovely, with my brass hardware (Restoration Hardware). It’s funny that my original idea of renovating the bathroom involved ALL brass fixtures. For some unknown reason, I managed to settle for brass vanity handles. And it’s actually enough. I love the juxtapose of the old/new, and cool/warm fixtures. “Lacquer is wonderfully practical. It is low-maintenance, durable, heat-resistant, and suitable for both indoor as outdoor usage. It can be applied to many different surfaces, such as on doors and windows, but also on furniture, radiators, and even walls. Water-based lacquer, mainly used for doors, windows and baseboards, or as a finish on wood, is also a perfect finish to give a different and exclusive look to your walls. Our water-based Traditional Paint is especially suitable for walls, including those in bathrooms and kitchens“. Sounds awesome, right? But I WANTED navy!!!! How rude to offer a new product line and not have the color that I was desirous of. How very very rude. So I emailed them. And asked, ever so politely, can you mix me a navy blue? And they very politely told me that Yes, in fact, they could custom mix any color on the RAL color standard (RAL is a color matching system used in Europe. The RAL system comprises of, get this, 1625 different colors). WHAT!! I mean, WHAT????? I’m just finding this out? I don’t have to ‘limit‘ myself to the awesome P&O 144 colors? 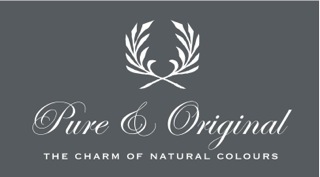 Basically, in a nutshell, if you want a color that you know is available in the US and Europe and you want the paint base to be Pure & Original, P&O are able to custom blend most of the colors, free of charge. STOP already! And this is how I got my beautiful NAVY WATER-BASED LACQUER. (if this particular color is one that you’re interested in, just email P&O using this link and ask them to custom blend the Navy that The Paint Factory used. I don’t have the RAL number available). And it’s so stinking beautiful. Navy and brass, oh my! 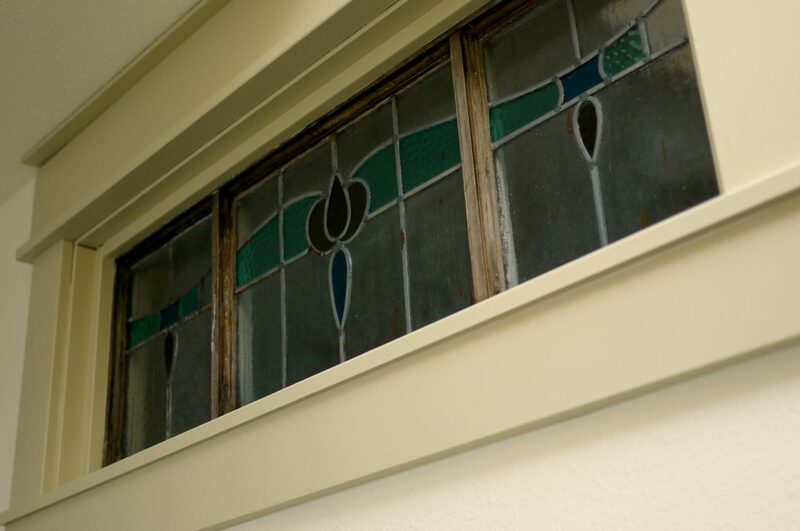 The last small little #WANT was something that I already owned; a vintage stained glass window. I normally use it outside in my gazebo. Once I started thinking about how to maximize the light in the bathroom, I started to think about the stained glass window. The wall divides the bathroom and our small closet. Very dungeon-ish. Very small and dark. Very full of clothes that no longer fit me because…well, who knows, maybe one day…. And then I got an idea! If I’m going to go for the ‘custom’ look, why not install the stained glass window in the dividing wall!! Stinking genius, if I don’t say so myself. 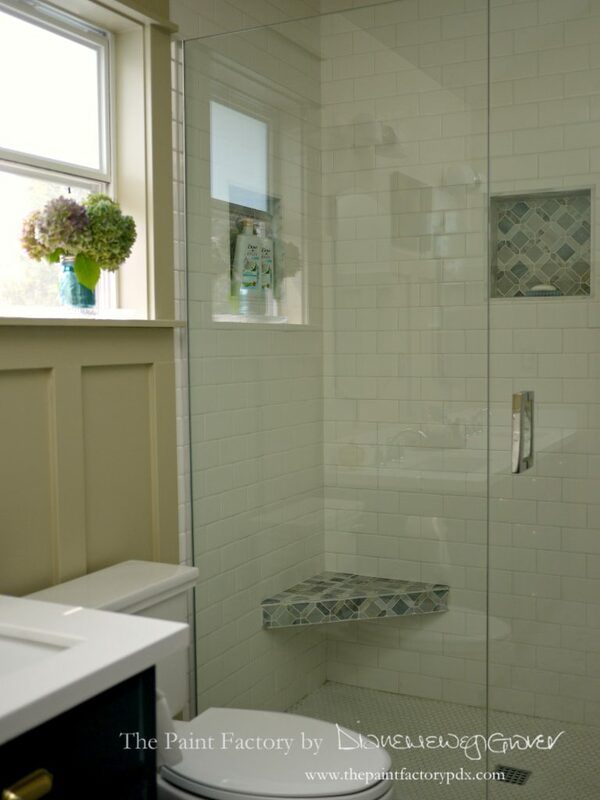 It brings natural light into the closet and adds that little touch of ‘uniqueness’ to an otherwise standard bathroom. In the photo below, you can see it in the reflection in the mirror. It’s so lovely. Here’s a closeup on the trim color. It’s called Canvas and it’s from P&O Licetto paint range; which is a matte finish paint. Perfect for my bathroom because it’s very durable and washable. 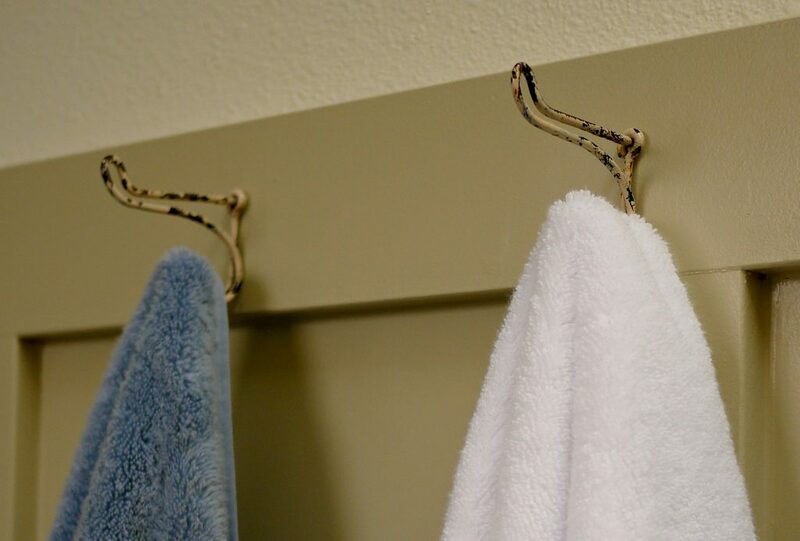 But more to the point, why am I wasting your time showing you a photo of two towel hooks? Because I hate towel rails. These I picked up at a vintage store in Portland, for about $3 each. I have 3 of them against the wall. I love my husband, I love my children; but I have yet to see any of them successfully put a towel over a towel rail. A towel hook? I stand a better chance. It’s all about choosing your battles, and making them work to your favor. So that’s it, in a nutshell. My master bathroom remodel. It started off as a builders-grade, standard, horrible bathroom. Just a room to clean up in. And it became a beautiful, classically designed master bathroom. I will admit that I’m incredibly proud of it. It was a great learning experience for me; and being able to materialize the vision that I had in my head is so exciting. Now what’s next? ?